Today is the biggest day in the history of Under The Gun Review. After nearly four-and-a-half years of hard work, thousands of miles traveled, and countless sleepless nights spent typing away by the glow of our macbooks, UTG is beyond excited to announce that we have joined the Buzz Media family. Further, we are partnering with Absolutepunk, Punknews, AlterThePress, and PropertyOfZack to form a new publishing group known as AbsoluteVoices. A full press release can be found below. From the bottom of our hearts, thank you for the continued support and friendship over the years. 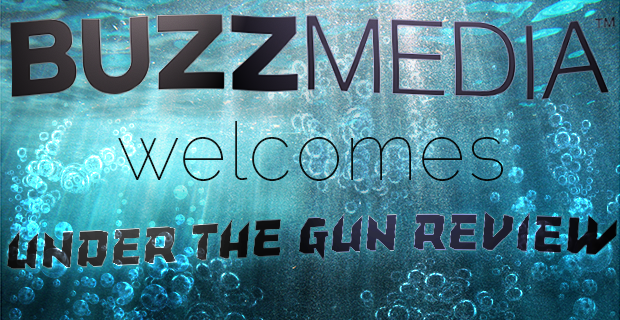 “LOS ANGELES (August 27, 2012): Digital media publisher BUZZMEDIA (www.buzz-media.com) today announced the acquisition of authentic, go-to punk rock sites Under The Gun Review, Alter The Press! and PropertyOfZack. These three sites will join forces with BUZZMEDIA’s AbsolutePunk (www.absolutepunk.net), the definitive source for punk rock news, and the also-acquired Punknews.org, and roll up under a new suite of online punk music properties titled AbsoluteVoices. AbsolutePunk will serve as a central hub to the broader AbsoluteVoices publishing group, expanding its robust editorial offerings, while bringing a wider variety of perspectives and in-depth music coverage to its extensive reader base and fan community. Under The Gun Review covers entertainment for today’s generation, expanding beyond alternative music to film and standup comedy. AbsolutePunk continues to be the leader in its category and, since 2000, has reported from the front lines of punk rock music discovery, being among the first to report about then-emerging acts including Blink 182, Yellowcard, Brand New, Something Corporate, Taking Back Sunday, My Chemical Romance, Paramore, Fall Out Boy and Panic! at the Disco. The acquisitions come on the heels of recent deals announced by BUZZMEDIA including the acquisition of SPIN Media. BUZZMEDIA’s existing suite of leading music properties establish them as the fourth largest digital publisher of original music content in the U.S. in terms of reach, alongside MTV, Yahoo! Music and AOL Music, according to comScore*. *”Original Music Content” category as custom-defined by BUZZMEDIA. BUZZMEDIA defines an “original music content publisher” as a publisher within the comScore Entertainment-Music category who creates original digital content focused on music reporting and criticism. Ranking is based on May 2012 comScore data release. BUZZMEDIA is the leader in pop culture and millennial audience reach, with more than 120 million monthly unique visitors and one in four millennials in the U.S. every month. BUZZMEDIA publishes more than 40 authoritative brands whose voices define categories and culture, including SPIN, Celebuzz, Stereogum, Videogum, Buzznet, TheSuperficial, Idolator, PureVolume, Hype Machine, AbsolutePunk, What Would Tyler Durden Do?, SocialiteLife, Go Fug Yourself, Just Jared, Pink is the New Blog, Gorilla vs. Bear, RCRD LBL, TheFrisky!, Concrete Loop, Brooklyn Vegan and Punknews. As measured by comScore, BUZZMEDIA is the largest digital publisher in Entertainment News and the fourth largest digital publisher of original music content in the U.S. BUZZMEDIA uses its massive reach, deep audience engagement and understanding of the young adult audience to provide customized, innovative marketing and advertising solutions across its branded properties. Bravo gentlemen for the payoff of all of your hard work, and never losing sight of your vision. Thanks man! It really means a lot. Thanks for continuing to read the site, and we are really looking forward to what the future holds. Congrats! We’re really happy for you guys! The future is looking bright.